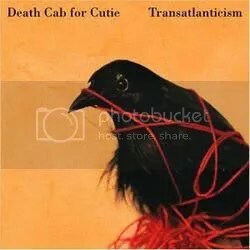 Transatlanticism falls into the sweet spot between Death Cab for Cutie’s earlier development and their more recent, major label work. Their early work was good, and their more recent stuff is still pretty great, but here they were excellent. 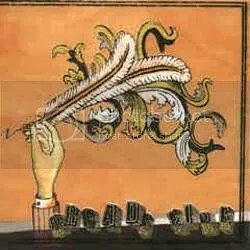 Ben Gibbard’s talent as a songwriter is to find the story behind little moments, be it finding an old photo in a glove compartment, remembering passionate trysts in the back of grey subcompact, or stargazing during a quiet ride home, and turn these quiet, personal moments into significant emotional discoveries. The theme of this album is the pain of being physically separated from a loved one, and how the distance in between and time apart can feel like an eternity. It’s certainly not a new concept to the world of music or art, but rarely has been so succinctly and effectively communicated as it is throughout this album, highlighted by the title track and its plaintiff cries of “I need you so much closer” that build on top of one another before crashing into a crescendo that is easily one of my favourite moments in music of the entire decade. It’s funny; a lot of music critics like to use the term “mature” to describe the depth of emotional appeals in the artists they like and their growth as artists as they progress through their career, but given how overlooked this album has been in the decade ending lists, it seems as though they only appreciate maturity when it comes from artists their age or younger. Heaven forbid it come from a 40-year-old singer embarking on her second career after a brief shot at fame following her one hit wonderdom of the 80s. That this album has been so overlooked is especially frustrating since every Mann album since its release has been plagued by the criticism of being not as good as this one. Which is a true criticism, but only because Bachelor No. 2 is pretty much perfect, not because her other efforts this decade were particularly lacking. I’ve probably listened to this album hundreds of times by now, in part because for the longest time, it was the first album on my iPod, but the fact that I’d generally just let it play rather than select something else speaks volumes. Mann is at her songwriting peak here, with songs that ache of the sort of life long regret you only get from someone whose life has actually been long, matched by the stately production of Jon Brion and company. Perhaps ten years is too long a time to remember an album of such understated beauty, but I suspect for me, another ten will go by and I’ll still be letting it play on in whatever format music exists in. 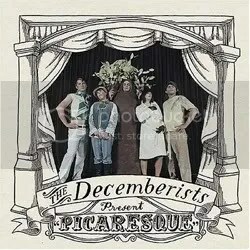 Oddly, since signing with a label (Capital), The Decemberists have only gotten more inaccessible, starting with The Crane Wife, which dabbled in prog with its three part opus telling the story of the Japanese myth of the Crane Wife, and this year’s Hazards of Love, a full length rock opera. Both have their positives, particularly in how they show the group’s development in creating bombastic soundscapes. But I’m still hoping that they got it out of their system and will get back to making albums like Picaresque, which saw them apply their theatre-geek stylings to 11 tracks, telling 11 different stories ranging from the birth of the new monarch in an eastern country a few centuries ago (“The Infanta”), a torrid affair that leads to government espionage (“The Bagman’s Gambit”), male prostitute runaways serving johns at bus stops (“On the Bus Mall”), and a nine minute sea shanty tale of revenge on the high seas (“The Mariner’s Revenge Song”). Lead singer and songwriter Colin Meloy has always had distinctive lyrics to go with his distinctive troubadour voice, leading to some memorable songs in the band’s first two albums. But with their third, the whole band stepped up to Meloy’s level, creating arrangements as intricate and interesting as the stories they support. As the decade came to a close, a lot of attention was lavished on bands whose searches for originality stretch the bounds of music so much that I’m not entirely sure it qualifies as what most people would refer to as “music”. Which makes it almost refreshing when a band like The National can create unique songs while working within the same structures that have been around for decades, proving that you don’t need to reinvent the wheel to create a better ride. 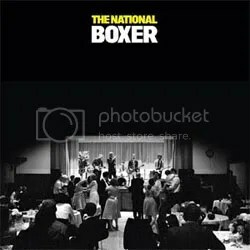 At first listen, Boxer sounds like just another rock album, but then you get into it and appreciate all the fantastic little details they add. Like with the opening track, “Fake Empire” (one of my favourite tracks of the entire decade — a list I won’t be writing for fear that I’d never finish writing it), which begins with Matt Beringer’s smooth baritone voice at a hush, creating an intimate feeling as though he’s singing in the room with you. Then it adds another layer, then another, until it explodes into a glorious climax of horns, revealing that the intimate space you shared was actually a concert hall. These layers continue to unfold throughout the album, resulting in a unified album that maintains the intimacy of its opening moments while continually rising to triumphant heights. When I first thought about the best albums of the decade, this was the album I quickly pegged as number one. I of course kept an open mind while reconsidering every album I decided were contenders, but when I was done, my blink test proved accurate. This was a great decade for music, and given that it was the decade where I was in my twenties, it’ll probably end up being my favourite decade for music as my tastes begin to calcify, and twenty years from now I’ll be saying to my own boy “music these days is terrible compared to the music of the [whatever we decide to call this decade in the future]”. And as proof, I’ll cite this album, which can best be described as transcendent. When this album was released, songs like “Neighborhood #1 (Tunnels)”, “Wake Up”, and “Rebellion (Lies)” heralded a bold new sound in music. The song below might not be quite as sublime as the album’s highlights, but its very first lyric is the name of my son, and given that he is my true highlight of the decade, I figured it as good a way as any to finish this project. Until the top five I was doing pretty good. Don’t know these. To be fair, when deciding on what should make the top five, I asked myself, “has Kelly heard this? No? Then it qualifies!”.